The NATS Foundation Circle of Friends represents those who have donated $100 or more to assist with the development and growth of NATS. Donations from Circle of Friends members accounted for more than $18,000 in the time period from October 2015 through March 2016. For a complete list of the NATS Foundation Circle of Friends, click here: http://www.nats.org/circle-of-friends.html. 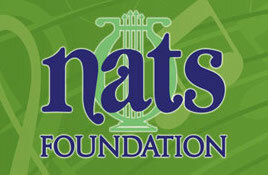 Funds donated help the NATS Foundation provide assistance to aspiring and talented singers and teachers through the development and management of various endowment funds such as those used to provide some of the prize money for the NATS Artist Awards Competition for Singers (NATSAA). The Foundation also co-sponsors the Van Lawrence Fellowship and utilizes its resources to help finance innovative programs such as the NATS Intern Program, and the NATS Emerging Leaders Award. If you would like to contribute (any contribution is welcome), please go to the Make A Donation tab, or send a check payable to the NATS Foundation to the NATS National Office, 9957 Moorings Drive, Suite 401, Jacksonville, FL 32257.